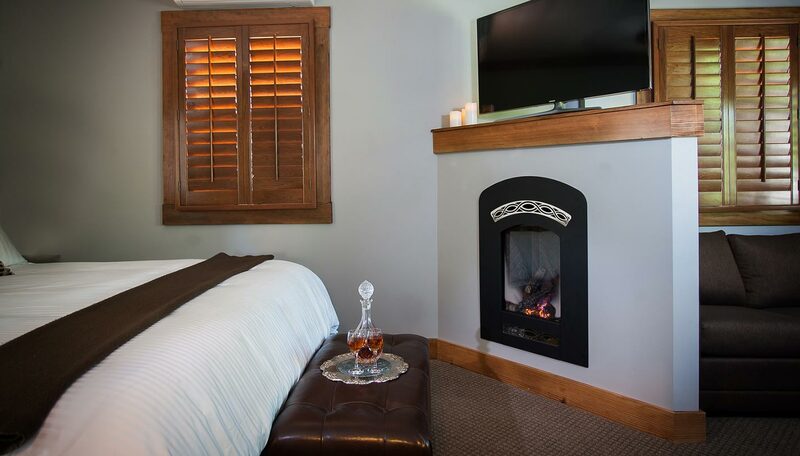 A Wine Way Inn, luxury room with king size bed, fireplace, refrigerator, spa robes, large flat screen TV with huge channel selection and a seating with a couch that can be converted to a queen size sleeper for up to two additional guests at a charge of $35 per person per night. 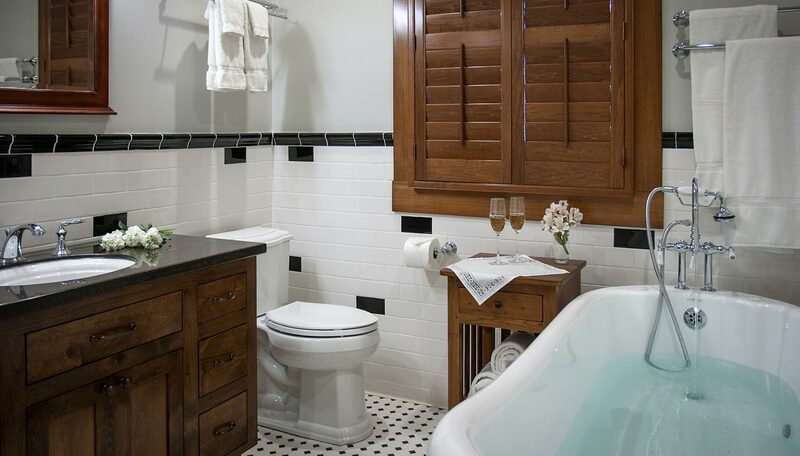 Luxury private bathroom with jetted air massage clawfoot tub and a large separate shower. 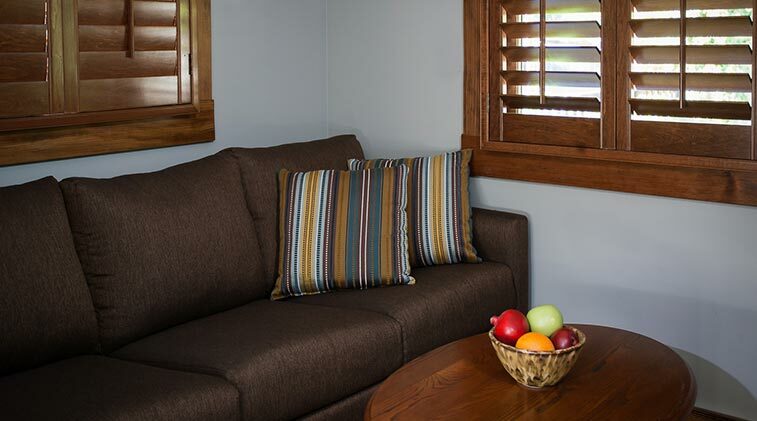 "Very charming, warm, hospitable, super friendly and excellent breakfast." 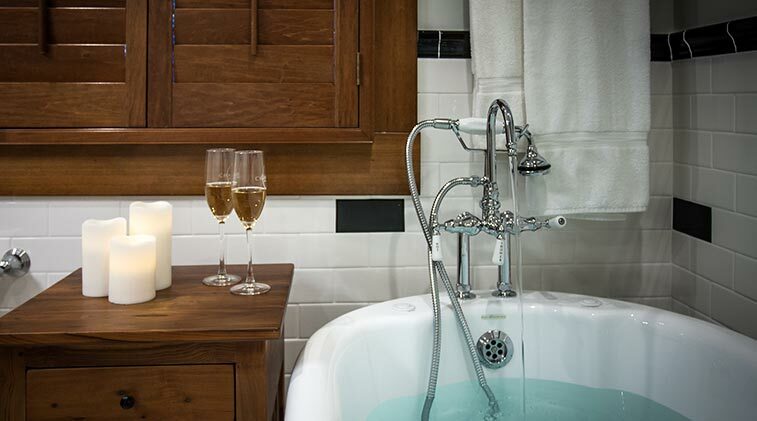 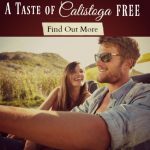 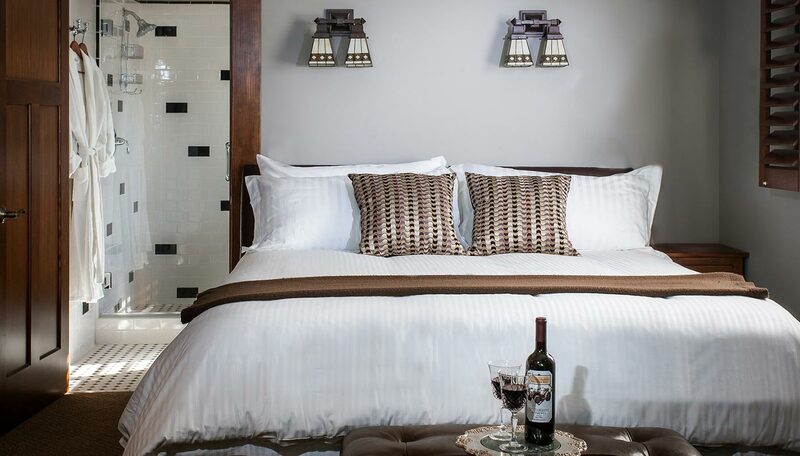 Unwind in romantic Napa Valley accommodations at our Calistoga bed and breakfast.